Buy Yield Signs. 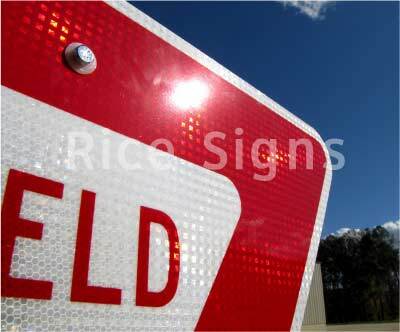 Rice Signs manufactures yield traffic signs. 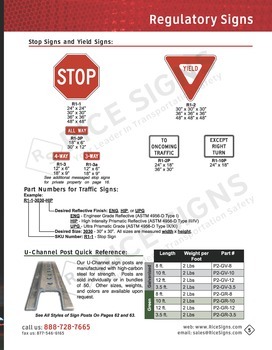 See Yield Signs in our catalog on page 5. Yield Signs have a red background color. The text and border are white. Yield Signs are equilateral triangle shaped. A yield sign is measured along the side from the imaginary corners at the points. The reason the measurement is from the imaginary corners is because the size of the metal is determined before the corners are rounded. A picture of our 30" Yield sign with high intensity reflecive. 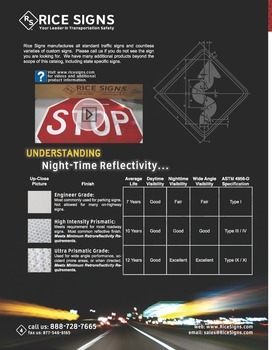 Up-close photo of our retroreflective yield traffic sign. 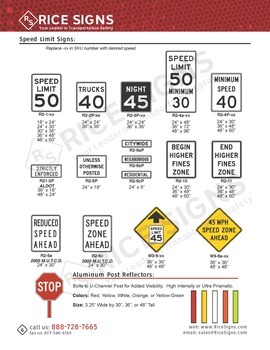 Question: What shape are Yield SIgns? 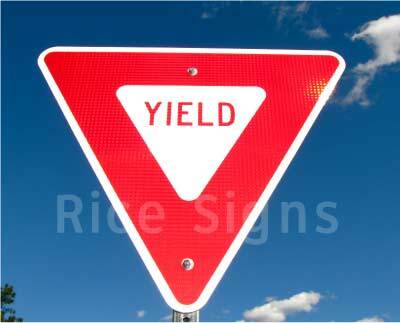 Answer: Yield signs are the shape of an upside down equilateral triangle with rounded corners. The yield sign is the only standard traffic sign in United States that uses the equilateral triangle shape. All three sides of a yield sign are the same length.